PENSACOLA, FLA - More stylish window options. Transoms in master showers. Increase in desire for privacy windows pushed by ever-narrowing lot lines. These are just some of the top trends to look for in the fenestration industry in 2017 according to leaders of Hy-Lite®. "Our research accurately predicted that 4' x 1' transom windows would start gaining popularity during the second half of 2016," says Roger Murphy, president of Hy-Lite, a U.S. Block Windows Company. "We're having to increase production to keep up with demand for transoms right now. This is not a regional trend. We're shipping both acrylic block and decorative glass transoms from coast to coast to handle these requests for new home construction." 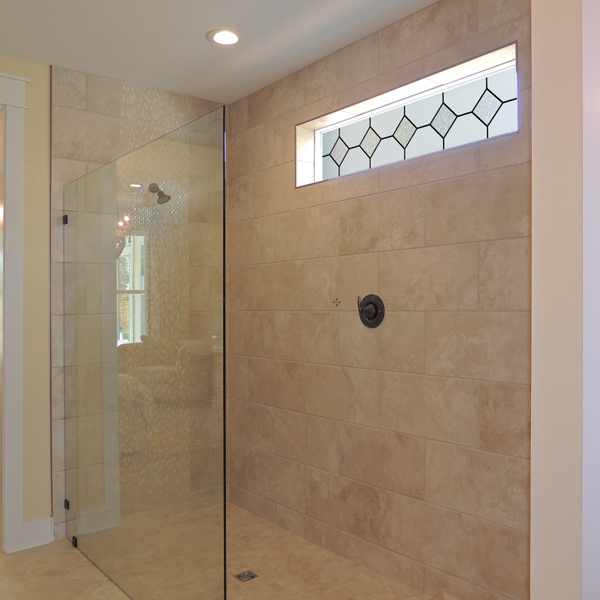 Murphy relates that master showers are a prime area where builders are now including transom windows. Many bathrooms also use a larger privacy window of the same style as the transom over the master tub. "Coordinating styles of windows within the bathroom that offer privacy is a hot trend for both builders and homeowners," says Murphy. "This is THE room in the house where light is desired, but privacy is demanded." At Hy-Lite, the three most popular selling acrylic block products of 2016 are all new construction fixed picture windows in white frames. The 42" x 42", 50" x 8" and 47" x 47" windows show continued demand for larger privacy windows. In the category of decorative glass, the most popular selling windows are the Victorian Private Elegance, Aurora Bath-Lite® Series and the Prairie style in the Home Designer Collection. "Decorative glass continues to skyrocket in popularity and we believe that trend --- fueled by the wide variety of style options available --- will continue well into 2017," says Murphy. "2016 is on pace to see the highest sales for decorative glass windows in our company's history thanks in large part to the success of our Home Designer Collection. "Builders, and especially design professionals working for builders, are very responsive to our contemporary and transitional design options. Industry professionals are really starting to understand that privacy windows complement the traditional glass window package for a home. They add style while solving the privacy problem of narrow lot lines that position houses closely together." According to Murphy, using privacy products adds very little complexity to an installed window package for a home. No secondary installation costs or methods, no additional purchase orders or invoices, and no headaches are required. To the contrary, fixed and operable privacy windows in the bathroom, hallway, living areas and/or master bedrooms add differentiation and profitability to a window package for a builder. Moving into 2017, the team at Hy-Lite plans to concentrate efforts on new audiences for their products, especially people working in contemporary or transitional styles. Builders, designers, architects and remodelers who prioritize clean lines and a modern feel in their work are projected to be among the company's highest-growing audience next year.